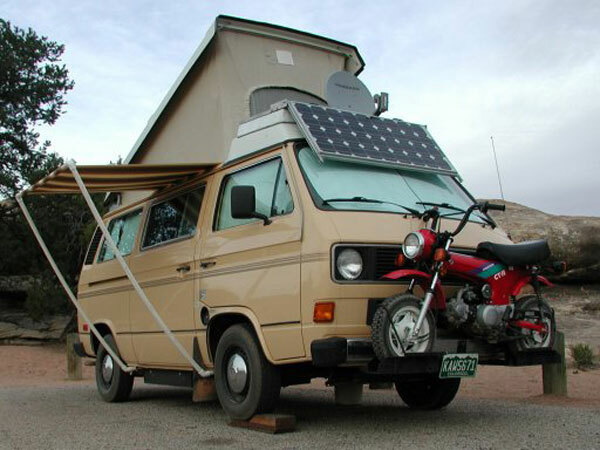 The Volkswagen Westfalia Camper is a camper conversion of the VW bus. The name originates from the company Westfalia-Werke which began converting Volkswagen buses way back in 1951. 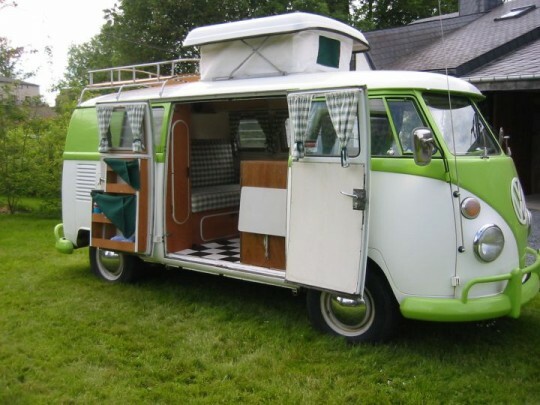 Originally, the conversions were quite spartan in style but as time went on their famous “pop-top” package was added which provided additional headroom to the van. 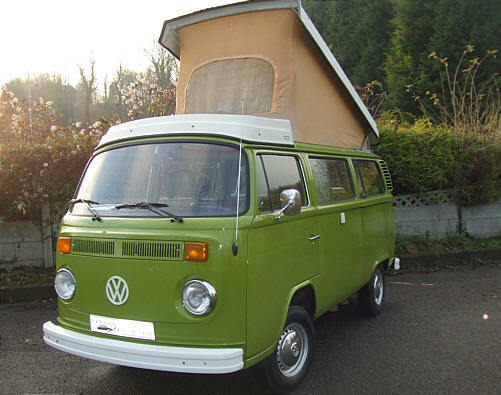 This became very popular on the second-generation VW Bus from 1968–1979 and is part of its iconic appearance. 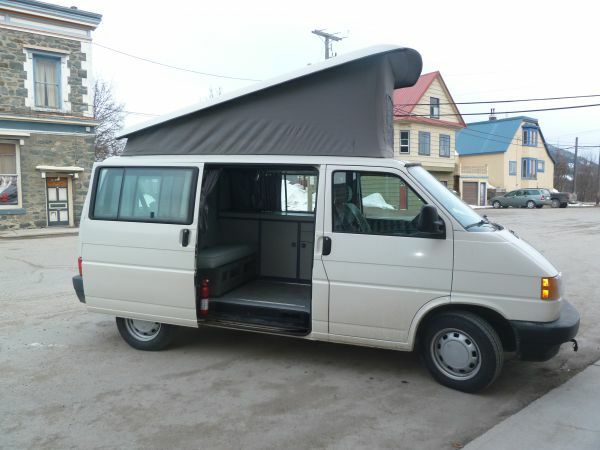 In the 1980s the model was called the Vanagon, and the final design was the T4 EuroVan which was discontinued in 2003. 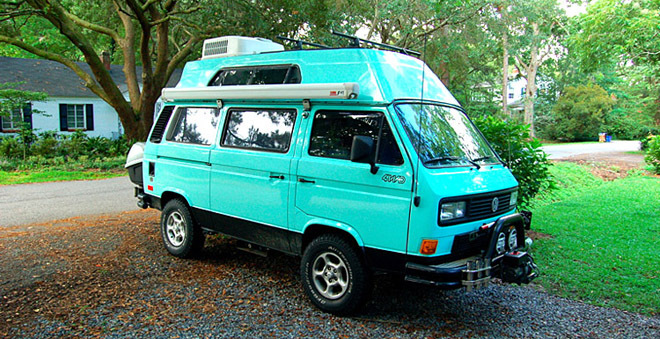 Here are some generational photos of the iconic VW Westfalia in all its different variations. 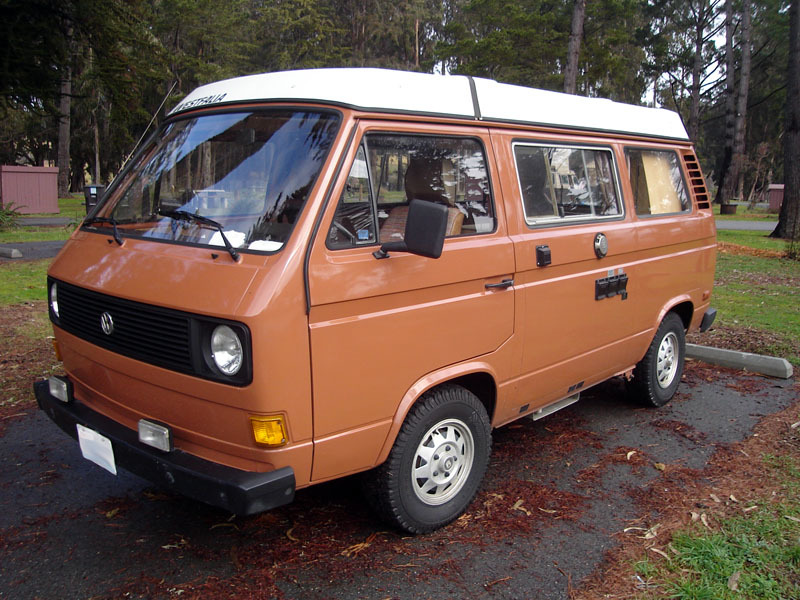 Like many people I have a great memory about the Westfalia. I vividly remember being about 12ish and learning how to ski with my school chums as we would be shuttled back and forth to the local ski hill on Friday nights in a 1980s era VW Westfalia. That van had more character than a vintage Rolls Royce and I’m not sure how my friend who is now a Sea King helicopter pilot in the Canadian Navy would always fall asleep on those rides home as the suspension was always working overtime carrying the load of at least 5 teenagers. That VW bus criss-crossed Canada a few times and took all the abuse two extremely active twin boys as well as an older sister could throw at it. It ended up as a reliable people mover surviving well into our high school years until their old man sold it to another local family who vowed to keep the VW tradition going. It was a shade lighter than this one but similar model. As the Wesfalia has not been built since 2003, the supply is limited and here in North America they are even more scare and as a result, prices are quite high today. With many top quality examples being imported from the US there are some more available now than in years past but you better have a thick wallet because they are not cheap. This entry was posted in Miscellaneous and tagged Camper Conversion, Volkswagen Westfalia Camper, VW, Westfalia by northredline. Bookmark the permalink. and he mentioned the Westfalia. I’ve seen them of course, but never knew there was a name for them and now here your entry is telling me all about it. Cool!